fees for the best legal service. Principal, founder, and author, Dr. Georges Leser, approaches our clients with compassionate listening, uncompromising value, and efficient, fast service. While assembling tailor-made teams of experts for clients, Dr. Leser brings his own comprehensive international legal and financial market experience from such noted law firms Clifford Chance – Germany, former Kavanagh, Maloney & Osnato LLP – New York and Baker & McKenzie – Austria. 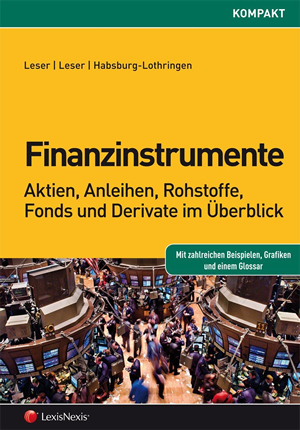 He also brings clients extensive understanding of the financial markets from various financial institutions of the Raiffeisen sector in Austria and the United States. We see the “big picture”. Our complete range of experience gives us the unique ability to understand the legal needs of our clients as well as their essential business and financial priorities. We look at legal issues from every angle and how each area is impacted. With a special focus on legal and financial markets, Georges Leser Legal Advisory Services will always customize services to meet each client’s individual needs. Download this excerpt for a look inside this important book filled with information smart investors need to know. Currently available in German only. 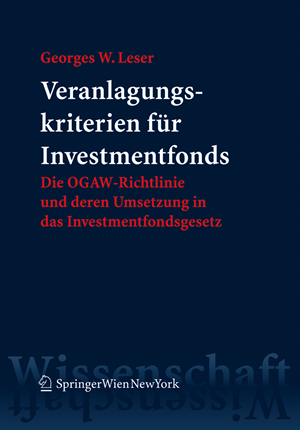 A valuable guide on which financial instruments a public investment fund may acquire and to what extent pursuant to the UCITS directive and the implemented regulations in Austria. Georges Leser’s expertise and experience stretches across the globe from Germany to New York City from some of the largest firms in the world.